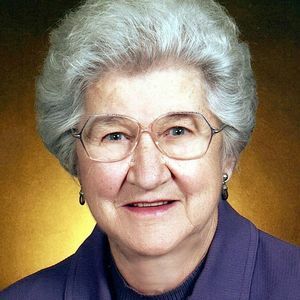 Mrs. Barbara Maloney, age 85, went home to be with the Lord on February 7, 2019. She is survived by a son, Doug Maloney (Shirley) of Gaffney, SC, two daughters, Debbie Poteat (Joe Batson) of Easley, SC, Beth Carroll (John) of Shelby, NC, a sister, Shirley Trier (Jack) of Rancho Cordova, CA, two sisters-in-law, Myrldean Roper of Shelby, NC and Josephine Bright of Groton, CT, ten grandchildren, Renee Hill (Scott), Amy Ashe (Brent), Jennifer Mabe (Josh), Adam Maloney, all of Gaffney, SC, Travis Maloney (Kaysie Aiken) of Chester, SC, David Poteat of Charlotte, NC, Anna Poteat and Rebekah Poteat both of Easley, SC, Madelyn Parker (Zachary) and Emma Carroll (Austin Stokes), both of Shelby, NC, as well as seven great grandchildren. Born on August 14, 1933 in Cleveland County, Mrs. Maloney was the daughter of the late Charlie Devero Bright and Dessie Scism Bright. She was preceded in death by her loving husband of 31 years, Rev. James Elbert Maloney, a son Richard Dale Maloney, and four brothers. Mrs. Maloney was a member of Zion Baptist Church and a former member of Westwood Heights Baptist Church where she taught Sunday school and sang in the choir. Barbara was a great cook and caregiver of her family. She loved her pets, especially her dog Max. Mrs. Maloney was affectionately called Maw Maw and was beloved by all of her children, grandchildren, and great grandchildren. A funeral service will be held on Saturday, February 9, 2019 at 2:00pm at Zion Baptist Church. A visitation will be held at the church one hour prior to the service. A burial will follow at Cleveland Memorial Park. Please enhance this tribute to Barbara Maloney by adding your memories and photos.